Hispanic New Yorkers are people identifying or identified as Hispanic or Latino/a sampled in the state of New York. As of 2010, Hispanics accounted for 16.3% of the U.S. population, or around 50.5 million people. The projected Hispanic population of the United States for July 1, 2050 is 132.8 million people, or 30.2% of the nation’s total projected population on that date. 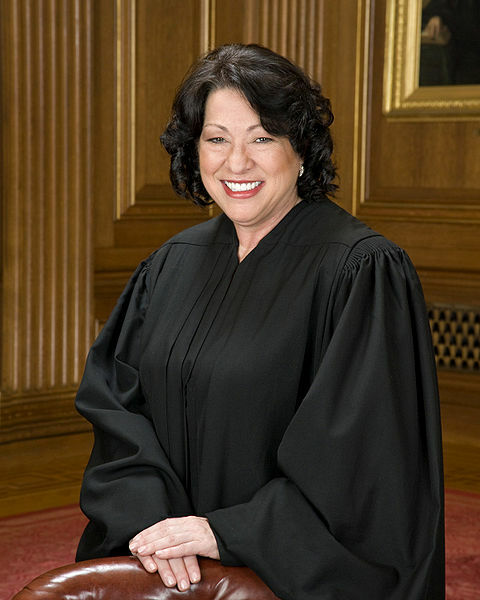 Justice Sonia Sotomayor comes from The Bronx and is of Puerto Rican descent. She is the Supreme Court’s first Hispanic and third female justice. Photo: Sonia Sotomayor in her robes, Collection of the Supreme Court of the United States, Steve Petteway.